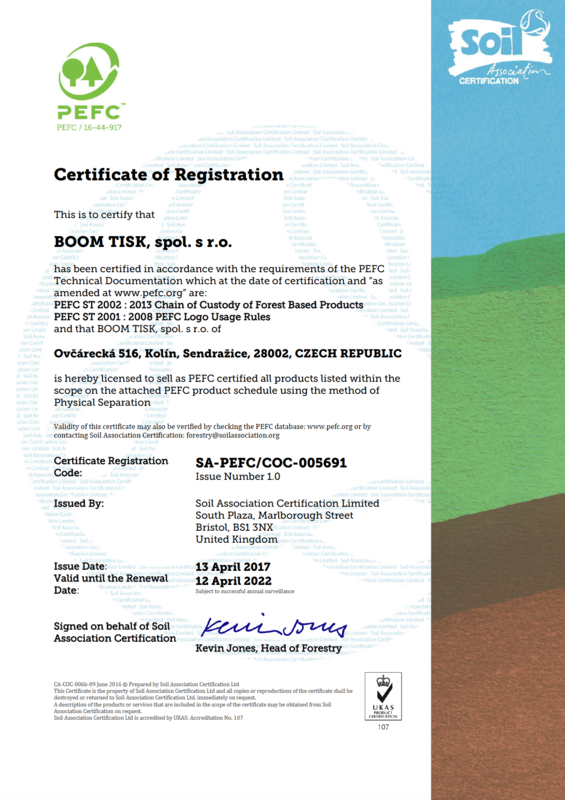 The company of BOOM TISK spol. s.r.o., has belonged among the most significant companies in Central Europe for several years with the emphasis on IT services. Besides us there are not many companies that focus on delivery of the complete solution in the area of digital and offset print. We do not produce just particular products of wide range (guidelines, instruction manuals, catalogues, TransPromo documenst, 1:1 direct mail), but we also provide our customers with service in the area of the project preparation (including processing variable data and graphic preparation), cross media solution, finishing process and distribution. That all in the shortest delivery time as possible. The company BOOM TISK was established in February 1995 and it was growing very fast in the following years. Today BOOM TISK, spol. s r.o. 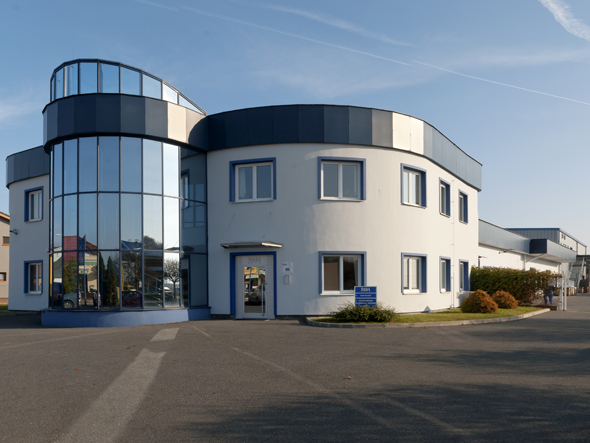 is one of the most modern equipped and biggest producers of digital and hybrid printing materials in Central Europe with the capacity of 6 mil fully coloured digital pages and 4,8 mil offset printed pages a day! We provide the service for the most demanding multinational as well as Czech clients with the emphasis on maximum customer care and providing complex service. 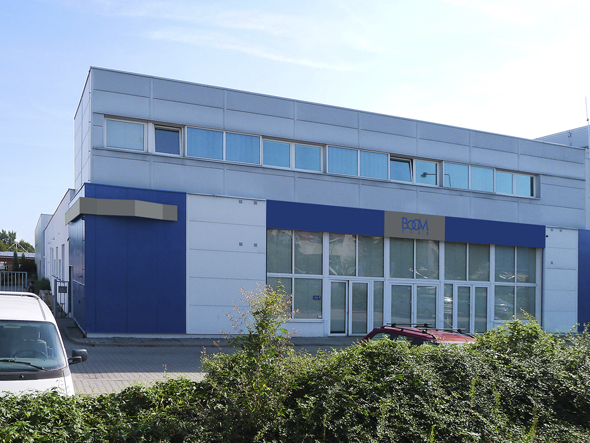 A very interesting technology is the only installation in the Czech Republic – a special line for direct mail production and a specific finishing processing (more information on www.bookmailer.cz). Our company pays special attention to keeping to the quality control system, we are certificated in accordance with ISO 9001:2015. 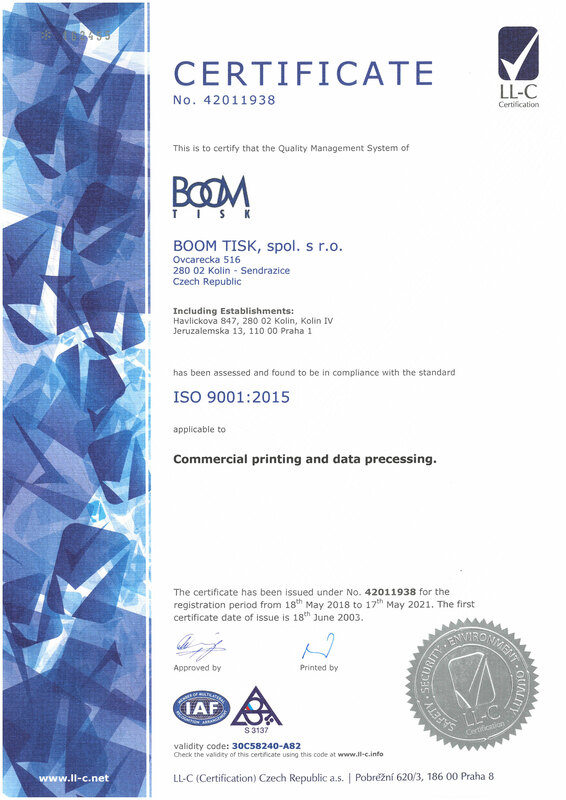 The company of BOOM TISK Ltd, pays special attention to the quality management system. We are certificated in accordance with the standards ISO 9001:2015. This fact considerably influenced later successful launch and incident-free process of the opening system project of Safety Management System (ISMS) implementation into the operation of the company. ISO 9001, as a norm for creation and certification of the management system, is a corner stone for our company that determines process management within our organization. The fundamental principles of the ISO 9001 has proved countless times the original idea - arranging of the good quality product´s implementation is possible only if the product is made by first-rate processes that are properly managed. That is the basic logical need of manufacturers and service providers. Last but not least, our company is aware of the possibility to use the standards for creative views of management processes with regard to changing market conditions. Process management in compliance with firmly set standards makes it possible to search for new ways of maximizing efficiency and effectiveness of individual parts, particular processes. In our humble opinion, the ISO 9001 standards will continue to represent the most significant part from the point of view of customers and for the usage of continuous improvement of company’s management and efficiency. An important impulse for the launch of ISMS implementation was the opportunity to address and afterwards to make a contract with a strategically significant customer from the corporate sphere. The contract demanded, among other conditions, to deal with the customer´s high safety demands. It was necessary to reflect the demanding safety requirements into both customer´s data protection and the entire infrastructure. It didn’t concern only information and communication technologies needed for the data processing, it also required notably higher physical security of the premises where the data handling takes place. Currently the information safety management system has been successfully launched in the company, after one year it has already been put into practice and it can be verified through repeated audits. It is also safe to assume that within the foreseeable future the whole project will be completed by a formal ISMS certification from a registered certification authority. Our comapny is very keen on compliancing ecological norms. The concern is about main manufacturing material – paper. 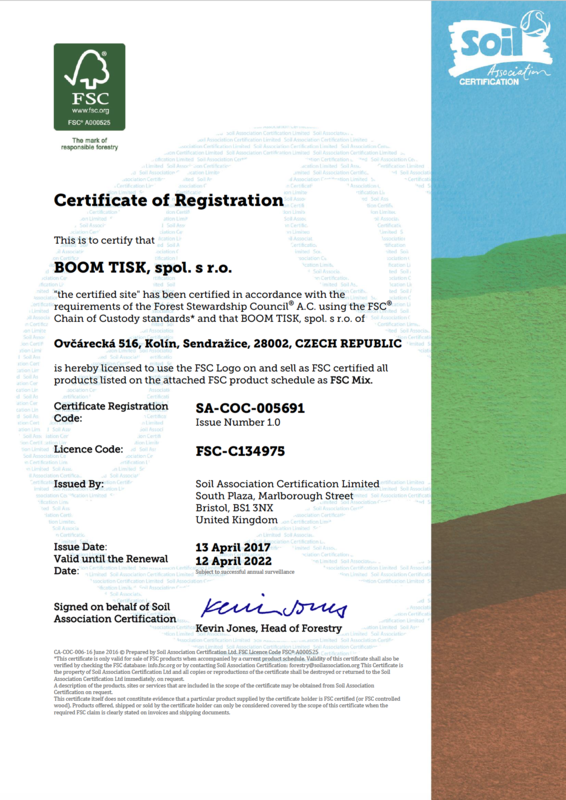 We are certified by FSC® C134975 and PEFCTM standards.